Allergies to nuts and peanuts are quite common and can lead to severe allergic reactions. A severe allergic reaction is called anaphylaxis, which can be life-threatening. But, having an allergy to one type of nut may not necessarily doom you to a lifelong avoidance of all nuts, a new study suggests. Instead, allergy sufferers should take what is called an oral food challenge, the researchers said. In such a challenge, they eat increasingly larger amounts of a food suspected to cause an allergic reaction over several hours while being observed by an allergist to gauge their reaction. "The findings show that there is a wider margin of error than previously thought [with blood prick and skin tests]," said study lead author Dr Christopher Couch, a Phoenix-based allergist who was an allergy/immunology fellow at the University of Michigan Medical School at the time of the study. Tree nut allergy is one of the most common food allergies in children and adults, affecting an estimated three million people in the United States, according to Food Allergy Research and Education, a nonprofit organisation working to raise awareness and fund research on food allergies. While no exact South African statistics are available, according to a Health24 article around 10% of the patients attending allergy clinics are allergic to peanuts. 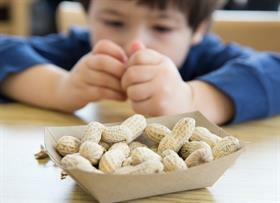 In the United Kingdom, around one in 200 children is allergic to peanuts, and a similar percentage is likely among South Africans eating a western diet. Despite showing a sensitivity to the additional tree nuts in blood prick and skin tests, more than 50% of those tested had no reaction after taking the oral food challenge, Couch said. So you think you have a food allergy?